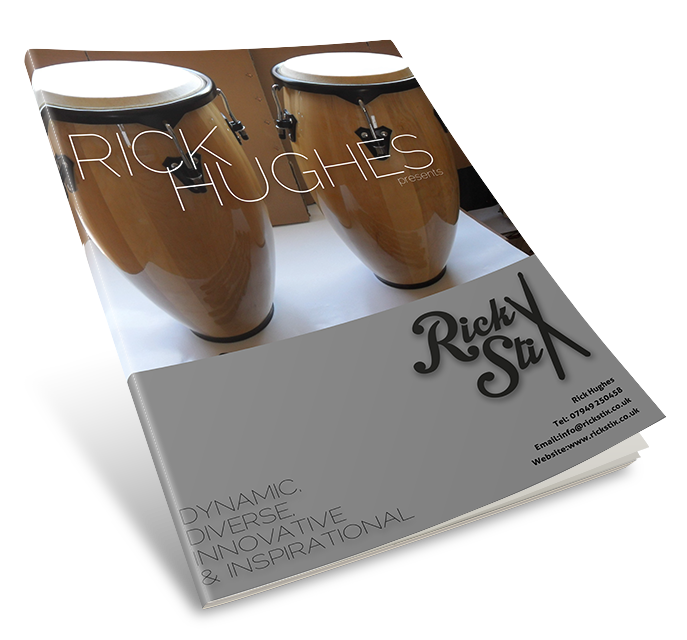 Q: Why should I choose Rickstix for my drum tuition. A: I offer professional lessons at a competitive price, taught by an experienced teacher and gigging musician. I teach from a fully equipped drum room and my aim is create a relaxed and enjoyable atmosphere in every lesson. Q: How do I book a drum lesson? A: To make any enquiries please refer to my contact page on this website. Q: What time are drum lessons available? A: Lessons will run on weekday evenings from 4pm to 8pm and weekend mornings from 9am to 12am. I also offer mobile tuition which provides more flexibility for some students who may not be able to travel. Q: Can I have drum lessons at home on my own drum kit? A: Yes, it suits many students to play within their own environment, with their drum kit set up how they like it. If this is not feasible my drum room does cater for every level of ability. Q: Where are you based if was to travel to you? A: Please click on the location page of this website which will provide you with all the details. My location is very accessible by road and public transport. Q: How long does a lesson last? A: I provide different length lessons to meet each students needs. They start with a minimum of 30 minutes, 45 minutes and 1 hour lessons. Q: Can I get a discount if I pay for a block of lessons in advance? A: Yes, if you book four you will get a fifth one free! Q: What happens if I have to cancel my lesson? A: I ask for 48 hours notice if you need to cancel your lesson or rearrange for another time. If you have paid for your lessons in advance your lesson will simply roll over to the following week. If you can't give more than 48 hours notice I may have to charge up to 50 percent of the lesson cost to cover lost teaching time. If you forget about your lesson and don't turn up you will liable for paying for the whole lesson. A: The answer to this question is a resounding yes which some non drummers find difficult to agree with. The drummer takes charge of the tempo, rhythm, dynamic and timbre. To achieve these things effectively you will need a good understanding of the melody and phrasing, so the drummer is a essential part of any musical ensemble.